The heat of the sun is making some of us hate to go out and have fun. You can however stay at home and make use of your kitchen. You can bake a very delicious cheese cake. You will realize that baking is really fun and easy. We believe that eating the food you love fresh from the oven adds more appeal and joy to the mouth. 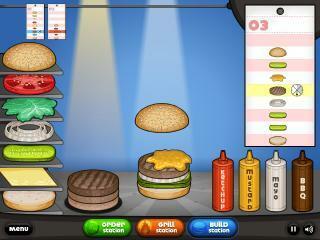 Check out Cooking Cheese Cake cooking game now, and start baking the cake that eveyone loves.